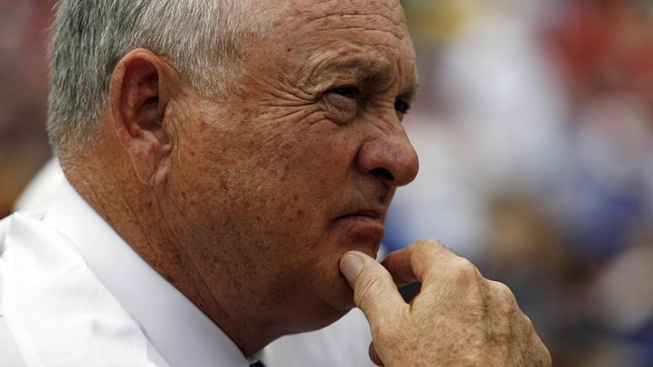 Nolan Ryan is "resting comfortably and reports he is feeling better." Tests done Monday on Texas Rangers President Nolan Ryan showed no new heart problems for the Hall of Fame pitcher, who was hospitalized after experiencing discomfort over the weekend. Ryan, 64, "continues to improve," the Rangers said in a statement. He is expected to be released from a Houston hospital in a day or two. Ryan has a pre-existing heart condition that will continue being treated with medication, according to the team's statement. He had a double-bypass operation in 2000 and has a family history of heart disease. He sought treatment after experiencing discomfort Sunday morning while at his home in Georgetown, located about 170 miles northwest of Houston. Ryan had been expected to join the Rangers in Anaheim, Calif., on Tuesday night for the start of a three-game series between his AL West-leading club and the Angels, who are in second place, four games back. He was scheduled to throw out the ceremonial first pitch and to take part in a ceremony inducting Gene Autry, the Angels' late owner, into the team's Hall of Fame. Ryan holds the records for most no-hitters (seven) and strikeouts (5,714). He's been running the Rangers since 2008 and became part-owner last summer. Texas went to the World Series for the first time last fall.